How To Measure Investment Success - Part 1 - Eagle West Group, Inc.
Economic uncertainty and volatile markets can be unnerving for investors. Furthermore, knowing whether or not your investment allocations and performance is/are right for you can also prove challenging. In short, how do you know if you’re succeeding? It used to be that investors determined this simply: if they made money, they were happy; if they lost money, they were not. Then a little over 60 years ago different and more analysis-based ways of measuring success began to emerge that saw investors comparing the performance of their portfolios to other portfolios that were similarly built. In a way it’s like buying a car. If you were in the market for a small SUV you would compare one to another. What you wouldn’t do is compare a small SUV to a sports car as this would be an unfair comparison. It is also important to consider risk. Just because two portfolios look alike doesn’t mean they will behave the same especially if one takes more or less risk than the other. Therefore, consider measuring performance on a risk adjusted basis. In this way risk is a lot like currency. If you spend a dollar, you’d like to get more than a dollar’s worth of value. 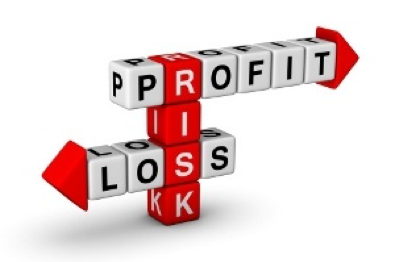 Likewise, if you’re going to take a unit of risk then you should try to achieve more than the unit’s worth of return. Make sure to make every effort to meet with your adviser regularly especially during turbulent or uncertain periods. And, as always, those of us Eagle West Group thank you for your trust and remain committed to your success.